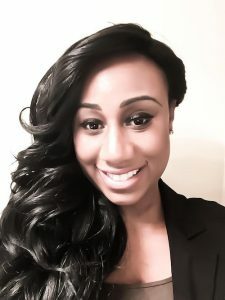 Christina Preyor is a Licensed Professional Counselor (LPC) in Georgia. 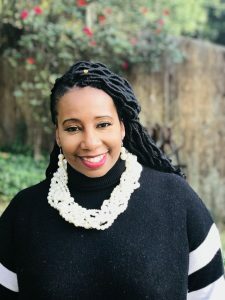 She received a Bachelor of Arts degree in Psychology from Georgia State University in 2000 and a Master of Arts in Professional Counseling from Argosy University in 2004. Christina is a board-certified Telemental Health Provider and certified in cognitive behavioral therapy (CBT), which she uses to counsel children and adolescents. She has over 16 years of experience in behavioral health across a variety of settings including state/private hospitals, group homes, community mental health, and crisis intervention teams serving both urban and rural areas. In addition to being lively and engaging, Christina is known to be very direct in her approach, as she believes that building a genuine therapeutic relationship is the cornerstone for growth in the counseling process. She uses an integrative approach when working with clients utilizing psychoeducation, play therapy, art therapy, skills training, and journaling as just a few tools to promote change throughout the counseling process. As a licensed clinical mental health therapist and registered neutral for the state of Georgia , helping you to reach your personal and career goals, while maximizing your full potential is Stacy Franklin’s primary concern. Stacy is known for her open, direct and empathetic approach to counseling. She uses an integrated approach to counseling, which means she utilizes a variety of orientations and therapies, which are based on the client's individual needs. In addition, Stacy is a Cornell University certified advanced diversity management practitioner (CCDAP), strategic professional human resources practitioner (SPHR), an LAPC and a Georgia Registered Neutral. She provides career and leadership coaching for individuals who are seeking to advance or change careers. Whether you are seeking short-term support with managing a particular life stressor, or looking to build and maintain a healthier and more rewarding lifestyle that allows you to truly thrive, Stacy looks forward to partnering with you. Jill Jones is a clinical social worker holding licenses in both Georgia and California. She received her bachelor’s degree in public and social services from Kennesaw State University and her master’s degree in social work from California State University, Long Beach. 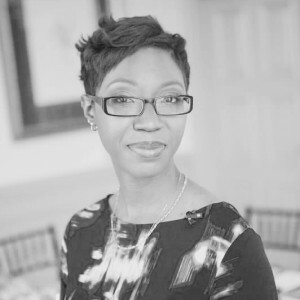 Prior to joining the Thriveworks team, she spent 12 years at the National Multiple Sclerosis Society and 4 years at Operation Jump Start — a non-profit working to assist inner city children to achieve the dream of a college education. Jill provides individual, group and family counseling to teens and adults. She strongly believes that the best treatment is a true collaboration between client and therapist. Therefore she takes an eclectic approach to counseling, personalizing the tools and interventions to the meet the client’s individual needs. She is passionate about assisting clients as they go through significant life transitions. Jill studied clinical hypnotherapy at the Milton Erikson Foundation and can use hypnotherapy as a treatment to assist with pain and stress management, eliminating bad habits such as smoking or overeating or as a part of a larger treatment plan. Jill believes in life long learning and is consistently seeking to develop new therapeutic tools to assist her clients. In addition to working with clients, Jill has 15 years of experience as a clinical supervisor, and is available to provide supervision for interns and clinicians seeking licensure. 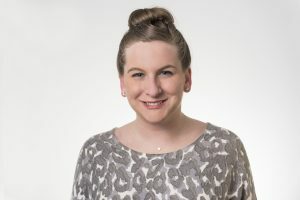 Algem Hopkinson is licensed as a professional counselor in Georgia. She received her Bachelor of Science in Psychology in 2006 from Columbus State University, and in 2009 she earned her Master of Education in Community Agency Counseling from Auburn University. Algem is a national certified counselor and has worked in Alabama as an associate licensed counselor in the non-profit sector. In addition to providing therapy, she has received further training in five distinctive curricula and served as a marriage education facilitator in the community. 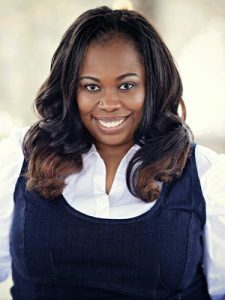 She has worked with adolescent females in residential treatment for sexual abuse, with women in Alabama's correctional facilities and worked extensively with children and families involved in the foster care system in Georgia. She specializes in individual, family and group therapy to children, adolescents, and adults, and has a great deal of expertise with marriage psycho-educational/therapy groups. She is also experienced in completing assessments and services for substance abuse, domestic violence and anger management. Algem's areas of clinical interest include: anxiety, depression, self-esteem, relationship skill building, chronic pain and coping with illness. Algem continues to research areas of interest, enjoys collaborating with peers and has presented her findings at various nationwide conferences. Algem is passionate about holistically promoting personal growth and empowering individuals on their path to wellness. She seeks to create a safe and comfortable environment for her clients and believes that a strong therapeutic relationship lends itself to the healing process. Algem also believes that counseling presents the opportunity for healing, growth and positive change and is honored to work with every client she serves. She takes an integrative approach to counseling where she individualizes treatment, encompassing all the different components of one’s life. Algem believes that therapy is a collaborative effort and invites clients to take and active role in reshaping their lives. Marissa is a Psychotherapist, with licensure as a Professional Counselor. She received her Bachelor’s degree in Psychology, and a Master’s degree in Clinical Psychology. Throughout her therapeutic career, she gained experience in various treatment settings working with adults, impaired professionals, adolescents, couples, and families. These treatment settings include telephonic life coaching, community counseling, inpatient and outpatient hospitalization programs, substance abuse treatment centers, and correctional facilities. She has years of experience working with chronic health and mental health issues, such as substance abuse, anger, grief, depression, life transitions, medical illness, caregiver stress, anxiety, trauma, work/life imbalance and parenting challenges. Her passion is to help and empower others throughout their personal life journey. Marissa utilizes various treatment modalities and is eclectic in her approach, in order to meet the individual needs of her clients. Maria Pampalone is a clinical social worker who holds licenses in both Georgia and New York. Maria graduated with her Master's in social work from Fordham University & obtained a Bachelor of Arts in Psychology from New York University. Maria was born and raised in Brooklyn, NY. Growing up in a culturally diverse neighborhood, Maria recognizes the importance of building cultural competency in providing good clinical practice. Maria is a well rounded clinician, having worked several years with individuals dealing with psychiatric illnesses, behavioral issues & substance abuse in an inpatient hospital setting. Maria's experience also includes having worked as part of a mobile crisis team, practicing crisis intervention with clients who were at high risk of harm to self or others. Maria worked as a psychotherapist in several outpatient settings with children, adolescents & adults dealing with depression, anxiety, behavioral problems, marital/relationship problems, difficulty adjusting to life changes, stress, employment issues, family conflicts, chronic psychiatric disorders, PTSD & obsessive compulsive disorder. Maria believes that a trusting therapeutic relationship between the client and therapist is the key towards making the best progress in therapy. Maria empowers clients to have an active role in their treatment. She utilizes an array of therapeutic approaches & techniques tailored to fit each individuals' needs.She advocates for clients' rights and encourages personal growth " The client is the star of the show!" 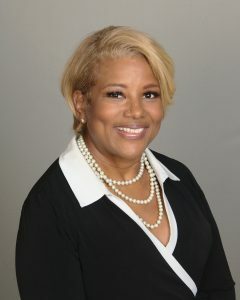 Pamela Elder Pinckney is a License Professional Counselor in the state of Georgia. Pam is a native of Atlanta, GA and earned a Bachelor’s of Art degree in Sociology from Georgia State University in 2007, a Master’s of Arts degree in Community Counseling from Argosy University Atlanta in 2010, and currently pursuing a Doctorate of Education degree in Counseling Education and Supervision. Pam provides her clients with a warm and compassionate, nonjudgmental safe place to explore the issues that may be preventing them from living the life they want. She offers an integrated holistic approach to therapy that includes, but not limited to psychoeducation, family systems, cognitive behavioral, solution focused, and motivational enhancement treatment and techniques. 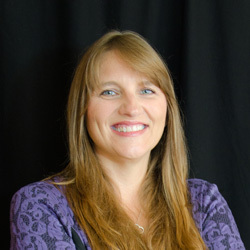 Pam is invested in a mutual development of therapy goals with her clients, while exploring and educating them on how the mind, body, and spirit are interconnected.